By LUDWIG VON KOOPA - I can, of course, only speak for myself. I think Tuesday's Pokémon Direct (June 6, 2017) has a very mixed opinion among the fanbase. KoopaTV live-reacted to it and our staff gave our honest and raw reactions to what we were shown. Consider it a preparation for E3. All of the staff present had a negative reaction. Some staff members believed in FAKE NEWS reports about the existence of a game that hasn't materialised. Others thought we would get the Generation 4 Sinnoh remakes. I myself had no expectations. I saw that The Pokémon Company International promised BIG news that would get fans excited, and I remember that they have a history of toying with what gets people excited. And so, we got this Direct, which I'll embed once more because I want to talk about it in detail as to why someone like me, who had no hype or expectations going into it, came away disappointed. There is a reason why the header sub-title for the live-reaction log was about wasting time. Let's talk about the substance. As I said in the live reaction log, the Direct was a port (Pokkén Tournament DX), ports (Pokémon Silver and Pokémon Gold), and remakes (which may or may not be an accurate way to describe Pokémon Ultra Sun and Pokémon Ultra Moon). 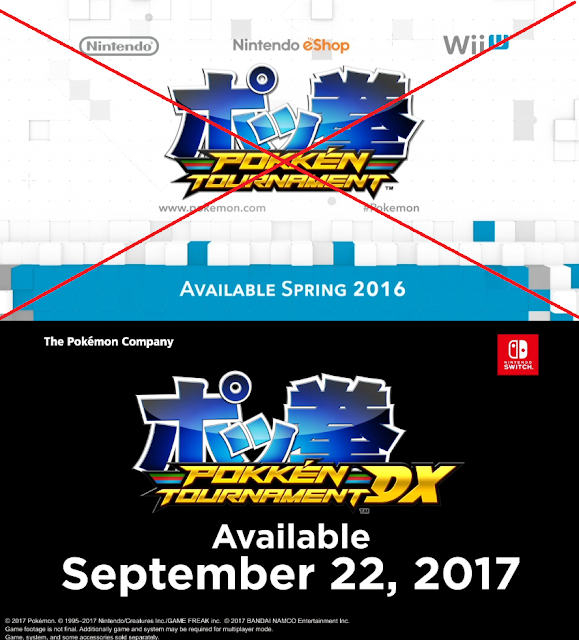 I guess one's opinion on Pokkén Tournament DX depends on how one feels about Mario Kart 8 Deluxe. I dislike the Wii U's games being ported to other consoles existing within the same time frame, and once upon a time, Nintendo fans were in general agreement with that sentiment. Back in the day, people were FURIOUS that Ubisoft had Rayman Legends on other consoles besides the Wii U after it was supposed to be a Wii U exclusive. Now? People are mad if something IS exclusive but not on the Nintendo Switch! Forget THAT, it's all about Switch, Fall 2017! For example, people are mad that Ultra Moon and Ultra Sun are Nintendo 3DS exclusives. ...For now, anyway. That's not a problem. Pokémon mainline games within the same generation are always on the same hardware, which is why you had Pokémon Emerald in 2004 (Japan)/2005 (everyone else) on the Game Boy Advance even though the DS existed, and why Pokémon Black 2 and Pokémon White 2 existed in 2012 (worldwide) even though the 3DS existed. I'm more mad that Ultra Moon and Ultra Sun exist, and exist NOW. 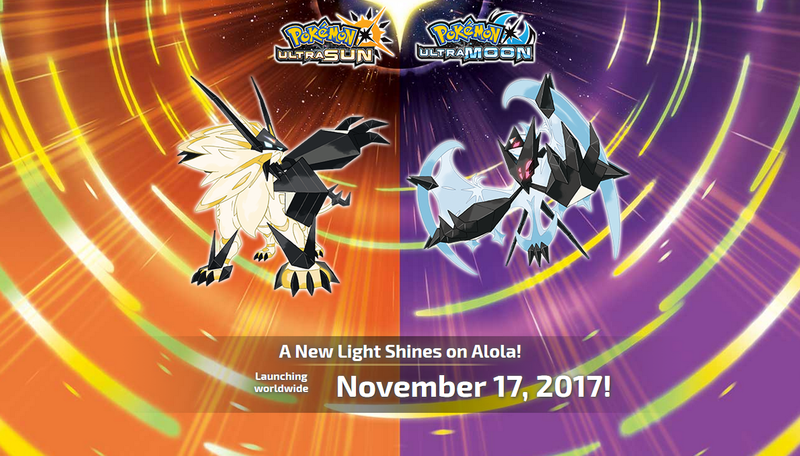 Consider this: Pokémon Sun and Pokémon Moon released November 18, 2016. Pokémon Ultra Sun and Pokémon Ultra Moon will be releasing November 17, 2017. You know why it's not releasing on the 18th in 2017? ‘cause that's a Saturday, I guess. I have no idea what a Necrozma is (and I've finished Pokémon Moon), but apparently it's fused with Solgaleo and/or Lunala. What's an alternate story? Is it a better, third version ala Pokémon Emerald or Pokémon Crystal, which can perfectly accurately be described as alternate universe scenarios to Pokémon Ruby and Pokémon Sapphire or Pokémon Gold and Pokémon Silver, respectively? After all, there are quite a number of plot differences between the third version and the original versions that would make it impossible for them to happen, you know, simultaneously unless they were alternate universes. Additionally, they have different Pokémon line-ups than the originals. Or, because there is an Ultra Moon AND an Ultra Sun, these alternate stories are, in fact, SEQUELS, much like Pokémon Black 2 and Pokémon White 2 are to Pokémon Black and Pokémon White, and they take place at distinctly sequential moments in the timeline? But no one ever called those “alternate stories” and it would be factually incorrect to call them “alternate” anything. “Alternate” means, instead of, meaning the other might not have needed to happen. You can't fool me, kid. You're still the same male default protagonist from Pokémon Sun and Pokémon Moon. Okay, that seems... entirely consistent with there being only a year between the original versions and the better version. But it changes. Pokémon Ruby and Pokémon Sapphire released early 2003, and Pokémon Emerald in mid-2005, as already mentioned. Pokémon Diamond and Pokémon Pearl released early-mid 2007, while Pokémon Platinum released early 2009. Pokémon Black and Pokémon White released early 2011, and as already mentioned, Pokémon Black 2 and Pokémon White 2 released late 2012. So, from Generation 3 onwards, they had done away with the Early Installment Weirdness of releasing the original set of games, and the improved version one calendar year later. Instead, they had some TIME between the originals and the betters, filled with projects like remakes of previous games or spin-offs. 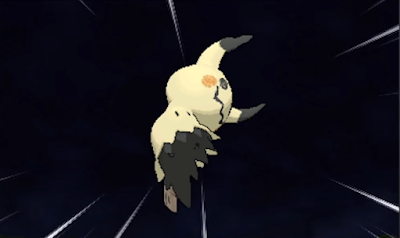 Pokémon Ultra Sun and Pokémon Ultra Moon are returning the Pokémon franchise to the archaic activities of the 1990s (and 2000–2001). That's what I'm against. Game Freak has decided against having their consumers recover from Alola fatigue by stuffing TWO (...or... FOUR) Alolan adventures in the span of one year. It's within 365 days! ...I dunno, you got these freaks floating around everywhere now. Is the alternate story a horror one? Ludwig is possibly just incredibly jaded and a total cynic. If you have a much more happy impression of that Direct than he did, or you agree with his miserable attitude, let him know in the comments section below! There was nothing new about Ultra Sun or Ultra Moon until... over two months later! Necrozma is definitely getting a bigger role. This alternate story stuff better be taken seriously, since Ultra Sun and Ultra Moon is impossible otherwise. I'm not going to get Ultra Moon though I got Regular Moon, but that's more because I've just gotten entirely, 100% bored with the Pokemon main series games in general. Regardless of your boredom, please understand that we're gonna continue to cover Pokémon stuff in pretty good detail on this site! Speaking of 100%, I have everyone in the Pokédex in Moon besides dudes you have to trade for, and whatever a Necrozma is. I withdraw my alternate timeline theory, because it sounds like Mega Evolution is unlocked in Sun/Moon and the trailer for Ultra Sun/Moon also hints at it. From my understanding on the bizarre alternate timeline stuff, Mega Evolution is only developed in one timeline. ...Well, that's good, so I don't have to understand what this alternate timeline even IS. Short version: Omega Ruby and Alpha Sapphire imply that the original Ruby and Sapphire exist in a parallel universe. Is it established that FRLG and HGSS retconned RBY and GSC? I'm... not sure. ORAS didn't mention them, but some fans think they're in a third universe/timeline. But ORAS only implies (and doesn't necessarily confirm) the two universes. Well, I believe that Yellow retconned Red and Blue, and FRLG retconned Yellow. Crystal retconned Gold and Silver, and HGSS retconned Crystal. ...So I'd like the same to apply to ORAS.